The active ingredient in this product is reportedly copper, which is an essential micro-nutrient at natural (low) intake levels and a potentially toxic heavy metal at higher doses. The fact that copper accumulates in birds’ bodies combined with hummingbirds’ extreme appetites increases the risk that the copper in this product will accumulate over time to levels that may cause scientifically documented problems such as behavioral changes, developmental abnormalities, reduced egg production and nestling survival, etc. That’s a pretty high price to pay for reducing feeder maintenance. This post is adapted from an article that originally appeared in 2010 in my “Out the Window” column in WildBird magazine. Though the focus is vagrant hummingbirds of migratory species, many of the issues apply equally to semi-migratory hummingbirds such as Anna’s that have expanded their range into areas where winter survival depends on feeders. A hungry male Anna’s Hummingbird fills his crop moments after a thick layer of fresh snow was brushed off the feeder. Anna’s are the most cold-tolerant of all North American hummingbirds, but even they can’t survive extended periods of subfreezing weather without help from their human hosts. For more than 20 years I’ve been telling people that it takes more than a bottle of sugar water to keep a healthy hummingbird on the breeding grounds when its instincts tell it to head south. Though that’s still true, it doesn’t apply to the increasing numbers of vagrant hummingbirds whose instincts lead them not to the tropics or the relatively mild southern and coastal parts of the U.S. but to cold latitudes where their chances of long-term survival are slim. In some cases, these seemingly lost and doomed migrants do make it through the winter with a little help from their human friends, even surviving to return the following fall. It’s the less fortunate ones and the dilemmas they pose for their hosts and admirers that caused me to rethink my longstanding advice to leave hummingbird feeders up in fall. The vast majority of wild birds live and die without a single human ever taking a personal interest in their welfare, but hummingbirds aren’t most birds. Their deceptive daintiness and apparent dependence on our gardens and feeders trigger much stronger and more complex emotions in us. Small wonder, then, that firestorms of controversy often erupt over whether, when, and how to help vagrant hummingbirds that are struggling to cope with brutal northern winters. Unfortunately, there’s no one-size-fits-all approach to dealing with tiny birds in trouble. A hands-off policy, as heartless as it may seem, would be the logical choice if wintering hummingbirds were getting by entirely on natural resources. Once artificial feeders and the people who tend them enter the picture, “letting nature take its course” is no longer an option. It’s not so easy to talk about natural selection when you have to look that hummingbird in the eye each morning as it huddles on its slushy feeder. Intervention has its own hazards, even when left to licensed experts (as required by federal law). The “Three Rs”— Rescue, Rehabilitate, and Release—may fail if delayed until the bird is too weak to survive the stress of capture or if the specialized care it needs is unavailable. Some wildlife rescue groups are reluctant to take in hummingbirds because they don’t have the expertise or resources to provide proper care. New problems arise when the rescuers decide to add a fourth “R”: Relocate. It was once common practice to capture vagrant hummingbirds, even those in no obvious distress, and fly or drive them hundreds of miles to warmer climes. As we learned more about hummingbird migration, we realized that in most cases this is a spectacularly bad idea. Like many other birds, hummingbirds learn the particulars of their migration routes by experience. Without that experience, a bird that manages to survive capture and relocation may end up permanently disoriented. Release at or near the original rescue site allows the bird to reorient itself to familiar landmarks in preparation for the next leg of its journey, whether further south or back towards its breeding grounds. When to release a rescued hummingbird can be just as important as where, especially for early-migrating species such as Rufous and Allen’s. Their northward migration along the Pacific Coast is well underway in January and February, when much of the U.S. is still in the grip of winter. Releasing a hummingbird in the dead of winter isn’t as crazy as it may sound. Some of the tougher species have been observed to hang on through blizzards and ice storms only to move on once the weather cleared. This Pine Warbler is no better adapted to winter weather than most hummingbirds, but few people would advocate capturing it for relocation or permanent captivity. Another misguided approach is to sentence “defective” hummingbirds to life in captivity. Though modern zoo ethics discourage taking wildlife out of the wild, this was exactly what happened to a Green-breasted Mango that found its way to southern Wisconsin in the autumn of 2007. This spectacular bird, only the second member of its mainly tropical species ever seen north of southern Texas, was preemptively rescued ahead of a winter storm and transported to a wildlife rehabilitation center. Against the advice of numerous hummingbird experts, center officials decided to turn the bird over to the Brookfield Zoo in Chicago. Members of the hummingbird community lobbied for the bird’s release either back in Wisconsin or in the lower Rio Grande Valley of Texas, but zoo officials were determined to add this avian celebrity to the collection. The following fall a late-migrating Ruby-throated from Michigan ended up at the same zoo under similar circumstances, again against the advice of experts. How do we keep hummingbirds out of these predicaments in the first place? One simple change in your feeder routine could make a huge difference. Switching to a sugar-water ratio of 1:3 by early September, when high-risk birds may be passing through, will help your visitors put on fat more efficiently while still providing essential water. The higher sugar content also lowers the solution’s freezing temperature without making it too syrupy for hummingbirds to drink, so it’s the perfect recipe for winter feeding as well. Most hummingbirds take to the sweeter solution right away, but you can gradually increase the sugar content over several days to avoid alienating your regular clientele. Of course, the ultimate solution to the problem is to stop feeding hummingbirds before winter sets in. 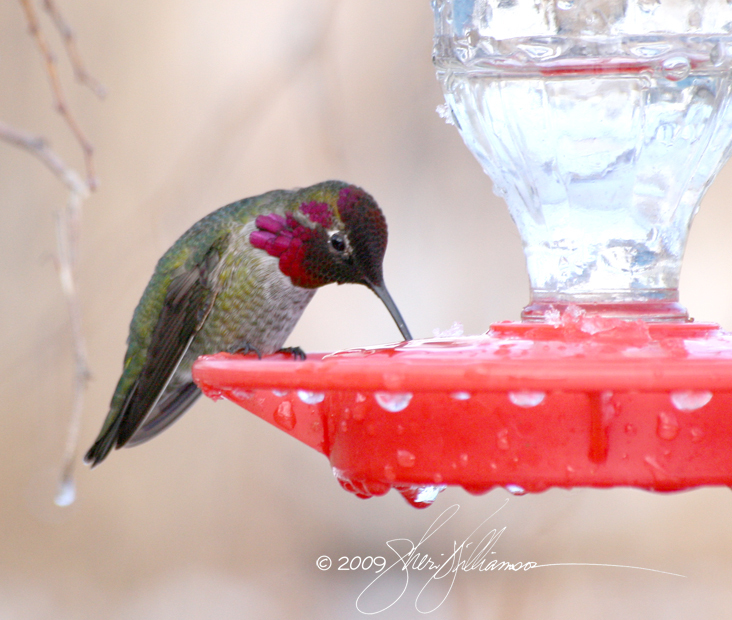 If you live north of USDA Plant Hardiness Zone 7a (average minimum winter temperatures 5 to 10̊ F.) and would prefer not to take on the responsibility of hosting a wintering hummingbird, simply take down your feeders within a week after before the first frost or by mid-October, whichever is earlier, even if there are still hummingbirds around. 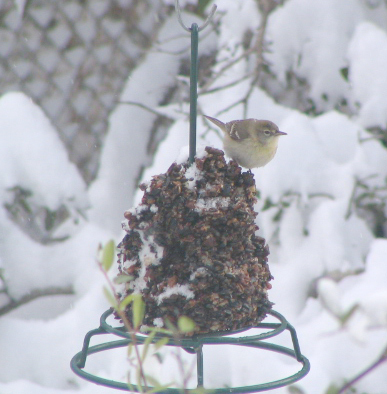 You’ll still be providing a boost to tardy migrants without encouraging any wayward travelers to consider your yard as a possible winter refuge. These Black-chinned Hummingbirds are almost as big as their mother and will leave the nest soon. Hummingbird nests are made with extremely strong, extremely stretchy spider silk, and the nest will expand as the nestlings grow. By the time they seem to be “outgrowing” the nest, they’re almost ready to leave it permanently. By second-guessing the mother hummingbird and Mother Nature, you risk injuring or killing the youngsters in addition to violating federal and state laws that protect wild birds. Unless a wild animal is in obvious distress or danger, it is best not to intervene without consulting a wildlife rehabilitator or other wildlife expert. 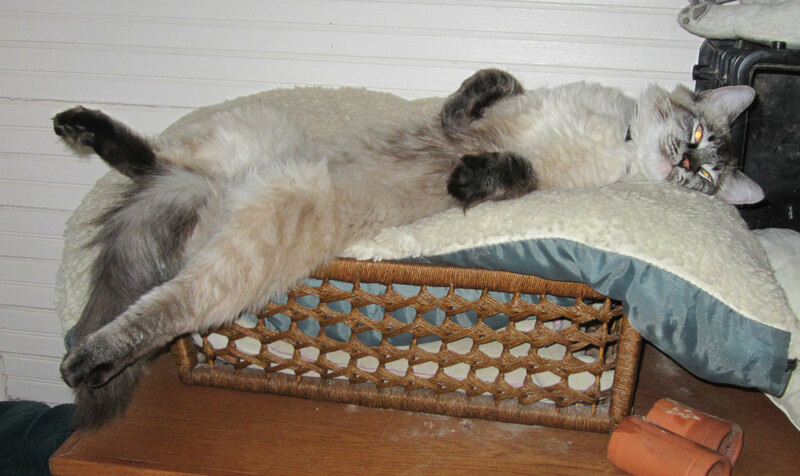 Lucky Wilbury, our most recent shelter cat, lounging on the cat throne. We have no intention of allowing Lucky outdoors off leash, as much for his protection as for the wildlife. Our previous cat, Bart, snuck out the door one night when the coyotes were howling and Great Horned Owls hooting. He was never seen again. We feel like we let him down and only hope that he met a quick, merciful end, not like the weeks, months, or years of suffering endured by most stray and feral cats. There’s been a recent flurry of bad news about free-roaming cats, which is timely considering a recent visit to the comments section of one LB&E post by an incipient cat hoarder. His last comment was so out of touch with reality that I did him a favor by declining to publish it. That’s tragically typical of the breed, but I hold a polyanna-ish confidence in the power of facts to overcome the disinformation thrown around by obsessive cat defenders (OCDs). One big reason that TNR is such a failure at reducing, much less eliminating, feral cat colonies is that the conspicuous presence of “managed” colonies in public places tends to attract people looking for places to dump unwanted pets. Inadequate commitment to vaccinating all cats in a colony at recommended intervals to prevent outbreaks of rabies, feline immunodeficiency virus, feline leukemia virus, etc. makes it a public health failure, too. Free-roaming cats are disproportionately responsible for exposing humans to rabies. Cat colonies “managed” by TNR attract unneutered, unvaccinated cats and increase their survivorship and reproductive success, leading to increases in colony size and potential for disease transmission. An even more insidious public health menace related to free-roaming cats is toxoplasmosis. The organism that causes this disease can infect many animals, but cats are the only ones that pass the parasite’s infective oocysts in their feces. A cat may only shed oocysts for a couple of weeks early in the infection, but they can persist in contaminated soil—garden beds, children’s sand boxes—for years. Authors Gerhold and Jessup cited a 2011 study that found that 63 percent of the patients with acute toxoplasmosis had become infected through contact with cat feces. The authors conducted a survey of opinions about feral cats and their management with cat colony caretakers (CCCs) and bird conservation professionals (BCPs) across the United States. Naturally, they found strong polarization between the two groups (even though substantial portions of both described themselves as both cat- and bird-people), and they also documented how poorly informed/in denial CCCs were about the impacts of free-roaming cats on wildlife and public health. Even among the BCPs, awareness of feral cat issues was lower among respondents who lacked college degrees, so there’s a need for outreach and education even within the bird conservation community. To the extent the beliefs held by CCCs are rooted in lack of knowledge and mistrust, rather than denial of directly observable phenomenon, the conservation community can manage these conflicts more productively by bringing CCCs into the process of defining data collection methods, defining study/management locations, and identifying common goals related to caring for animals… Our findings suggest that when such collaborative measures are not logistically possible, CCCs may be more likely to accept scientific results framed in terms of directly observable phenomenon (e.g., feral cats kill wild animals) rather than indirectly observable phenomenon (e.g., feral cats contribute to global declines among songbird populations). For instance, most CCCs see direct evidence of cats killing wild animals and would find denying those experiences difficult without creating some degree of cognitive dissonance. In discussion of the Georgia “kitty-cam” study, OCDs glommed onto the low number of documented kills by the pets in the study, even though a conservative extrapolation of the results suggests that free-roaming cats kill more than 2 billion animals per year. It seems obvious that feral cats, even those that are being fed, will hunt more than well-fed, part-time outdoor pets, but seeing might be believing. It’s time to put “kitty-cams” on feral cats in managed colonies so that CCCs and OCDs can see the carnage up close and personal. Virtually all of them, and most by federal and state law. 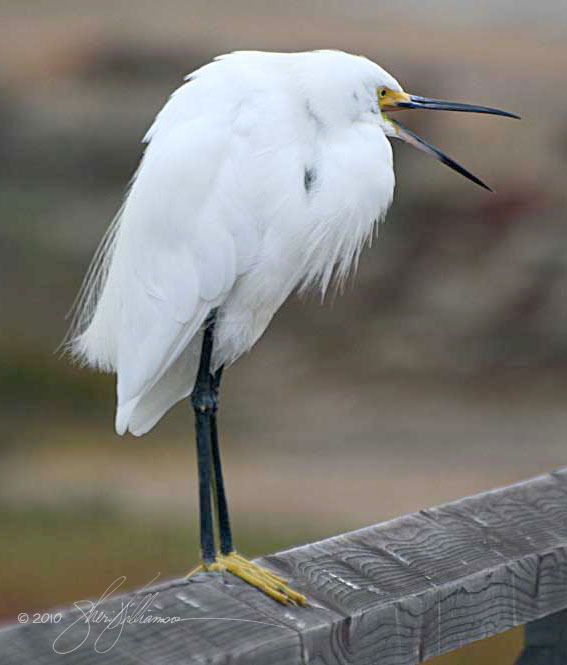 The Migratory Bird Treaty Act was enacted to protect America’s native birds, including the elegant Snowy Egret, from commercial exploitation. Almost all birds native to the United States, whether migratory or not, are protected under the Migratory Bird Treaty Act. This includes songbirds, hummingbirds, woodpeckers, roadrunners, birds of prey, waterfowl, wading birds, shorebirds, seabirds, etc. The MBTA allows the U.S. Fish & Wildlife Service to issue permits for managed recreational hunting of most traditional prey species, lethal control of “nuisance” birds, and live capture and possession of raptors for falconry (in states where falconry is legal), but commercial exploitation is strictly prohibited. That means you can buy a state hunting license and federal and state “duck stamps” and legally shoot your limit of waterfowl, but you can’t sell them or any part of thereof (including mounted trophies). 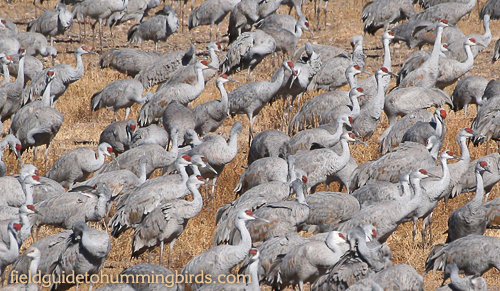 With some exceptions for migratory gamebirds (including captive-bred ornamental waterfowl and the aforementioned taxidermy), you also can’t keep protected birds in captivity (even for altruistic reasons) or have their feathers, bones, nests, or eggs in your possession without a scientific, educational, or religious/cultural permit. Native “upland/nonmigratory gamebirds” —quail, grouse, Wild Turkey, and (in Texas only) Plain Chachalaca—are under state jurisdiction. States often regulate hunting of introduced game species such as pheasants and partridges, but most nonnative species—House Sparrows, European Starlings, Rock (Domestic/Feral) Pigeons, Eurasian Collared-Doves, Indian (Blue) Peafowl, feral chickens, feral parrots, escaped (but non-breeding) domestic* or pet birds, etc.—have little or no legal protection anywhere in the U.S. except whatever might be afforded by county or city ordinances (which may have priority over state ordinances). Disclaimer: IANAL. This is just a brief summary of common situations where the MBTA applies. It’s up to you to read federal, state, and local laws and understand how they apply to your situation. If in doubt, consult the appropriate government agency for advice. * Special regulations apply to Mallards and Muscovy Ducks, since they exist in the U.S. as both domesticated (captive and feral) and native wild birds. 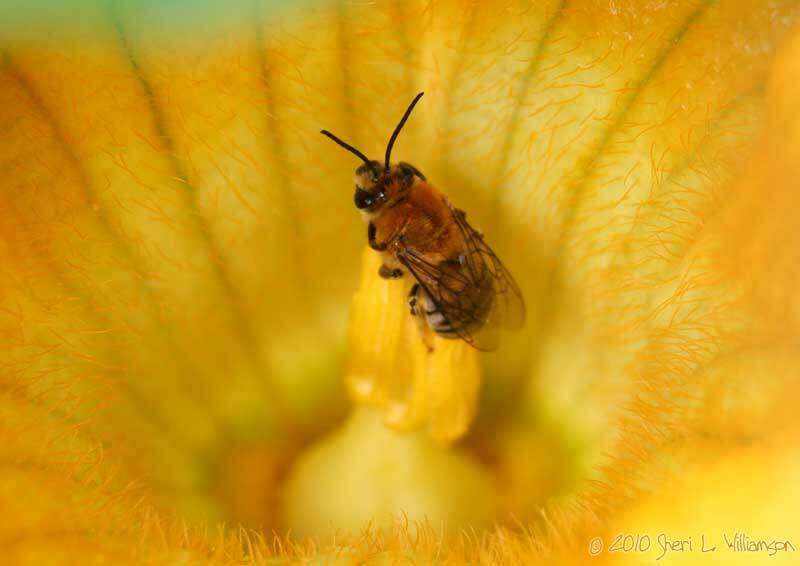 Squash Bees are among approximately 4000 species of native bees (and thousands of other native pollinators) in North America. There’s no evidence that Einstein actually said or wrote this. It wouldn’t be the first time someone tried to bolster a statement’s credibility by misattributing it to a famous dead person. Even if he did, he was a physicist, not an entomologist or pollination ecologist. Being a genius in one field doesn’t make someone an instant expert in another. I’d be far more impressed if this quote was attributed to Steve Buchmann, but regrettably few people have heard of the University of Arizona’s eminent bee ecologist. It’s hard to overstate the importance of pollinators, but too many people obsess over the honeybee without understanding their dark side. Yes, the decline in honeybee populations in North America is causing problems, mostly for beekeepers, the farms that use their services, and people who eat a lot of honey. From environmental and public safety perspectives, however, the decline isn’t necessarily a bad thing. As important as they are to agriculture, honeybees take food out of the mouths of native pollinators and present a real danger to people, pets, and livestock. From most of the southern U.S. through Central and South America, the feral (“wild”) honeybee population carries genes from highly aggressive African strains that have earned them the nickname “killer bees.” Though virtually indistinguishable from pure European honeybees, Africanized bees attack en masse when they sense a threat to their hive. Even a single sting from any honeybee can be fatal to those allergic to their venom, but Africanized bees often sting their victims hundreds of times. You don’t have to be allergic to die from such an assault, and many people have. They also defend a larger area around their hives and will chase perceived predators farther than their European cousins do. Where these aggressive bees are known to occur, it’s prudent to assume that any feral honeybee hive is Africanized and give it a wide berth. Native bees are excellent pollinators and nowhere near as dangerous to people and pets as honeybees. They already do much of the pollination work in our gardens, as long as some natural habitat remains nearby to support their nests and other ecological needs. If farmers are going to make effective use of native bees’ services, they’ll need to reduce field sizes and pesticide use and create mosaics of cultivation and native vegetation, and that’s also a good thing for thousands of other insect species plus birds, mammals, reptiles, etc. that can’t survive in our current agricultural wastelands. * Even if all bees of all species disappeared, we’d still have thousands of other pollinator species that fill similar ecological niches, including wasps and flies. Also, loss of pollinators wouldn’t directly affect crops that don’t need pollination: wheat, corn, rice, and potatoes come to mind. ** A FB commenter tried to defend the quote by claiming that the quotee was using “the bee” to refer to all pollinators(!). If so, why wouldn’t the quotee just say that explicitly? In fact, the history of the quote per Snopes.com suggests that it originated with French beekeepers, which supports the assumption that “the bee” in question is the honeybee. 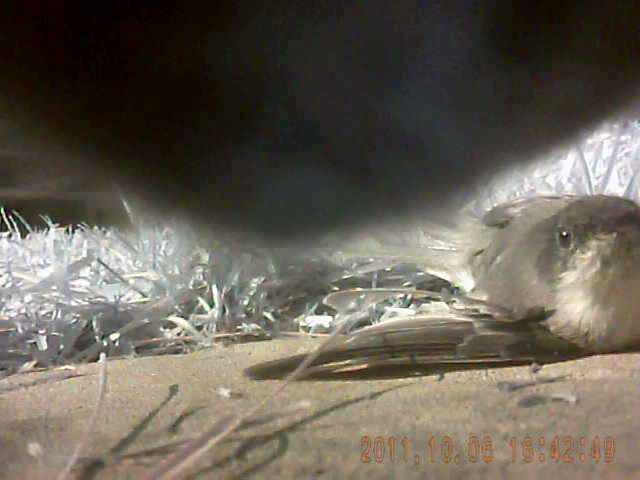 An Eastern Phoebe with a mangled wing awaits death at the jaws of a pet cat. The National Geographic Society and University of Georgia recently teamed up to apply “critter-cam” technology to understanding the lives of pet cats, documenting not only their predatory habits but the many hazards they face. The team, led by Kerrie Anne Loyd of the University of Georgia, attached small video cameras to 60 outdoor house cats in the city of Athens, Georgia. The cats’ owners were recruited through newspaper ads and assisted the team by doing daily downloads of video from the cameras. In Athens-Clarke County, we found that about 30 percent of the sampled cats were successful in capturing and killing prey, and that those cats averaged about one kill for every 17 hours outdoors or 2.1 kills per week. It was also surprising to learn that cats only brought 23 percent of their kills back to a residence. We found that house cats will kill a wide variety of animals, including: lizards, voles, chipmunks, birds, frogs, and small snakes. It’s no wonder so many cat owners are unaware that their pets ever kill wildlife. Even if they found every animal their cats brought home, they’d still miss more than three quarters of the death toll. The cats in the study were outside for only 5 to 6 hours a day on average. It’s sobering to compare these well-fed pets to homeless/feral cats that are outdoors 24/7/365 and may hunt for survival as well as recreation. If we extrapolate the results of this study across the country and include feral cats, we find that cats are likely killing more than 4 billion animals per year, including at least 500 million birds. Cat predation is one of the reasons why one in three American bird species are in decline. Think about that: 4 billion animals, including at least a half billion birds, that die purely because of human irresponsibility. The cameras also documented risky behavior that should alarm cat lovers: crossing roads, hiding under vehicles, climbing trees, exploring roofs and storm drains, confronting dogs, opossums, and other cats, and killing small mammals that are vectors for diseases such as toxoplasmosis and Lyme disease.